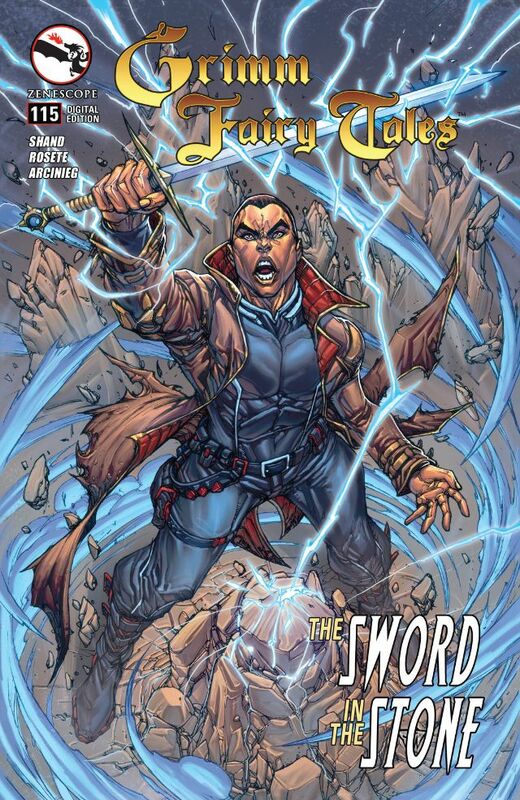 SWORD IN THE STONE: While Sela and Shang take the students of Arcane Acre on a field trip to a museum of ancient artifacts, Lance finds his dreams haunted by a dark force. He is drawn to a powerful sword that seems destined to either save him? or corrupt him. With her friends dying all around her, only Sela is left to face Lucinda and her army. With no chance of survival, all that Sela can do is try to take the Dark Queen with her and end the Age of Darkness. You can’t afford to miss the stunning conclusion. The final battle and this is how we get to where we are in the main series. It all fits together nicely, with each of the characters playing their part and getting equal panel time. There are sacrifices (which don’t take) and the battles are well worked. The plans and the result are all very good. 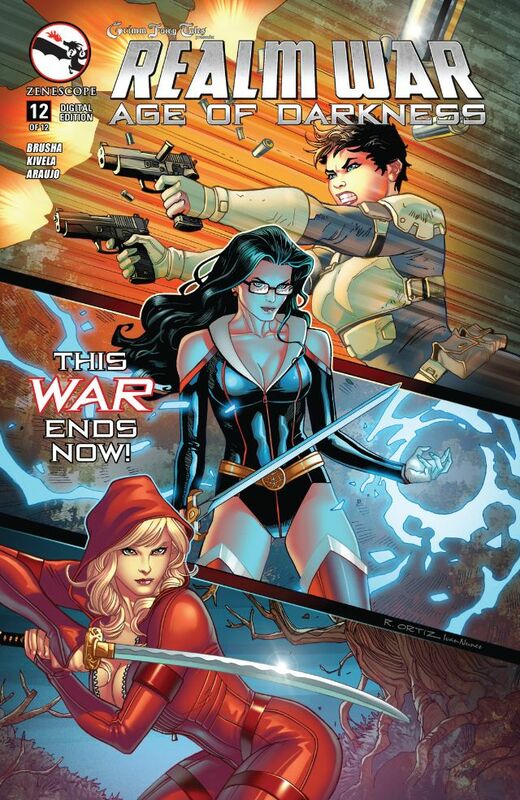 This has been a unique story for Zenescope, and I must say it – and the tie-ins – worked very well! “CRAZY” Robyn and Marian have taken on their fair share of strange cases? but nothing could prepare them for their favorite band coming to them with this. Katie Graves, lead singer of Novela Kiss, has been acting weird as hell? and the band thinks that she’s possessed. Robyn is on the case! 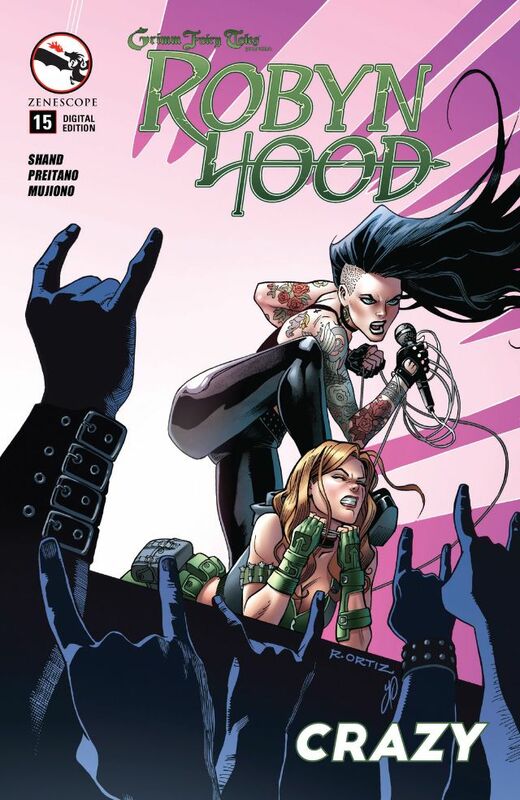 This is a nice one-hit story with Robyn and Marion actually making some money off a job and getting a good ending (more on that in a bit) The story is a good Scooby-Doo story with monsters, rock stars and more. We get a good look at Marions powers and Robyn’s reactions. The ending was well done and has some good links to the larger story with Robyn and Marion’s hidden enemy!